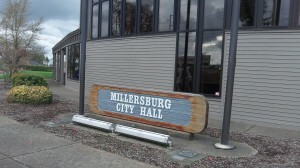 Millersburg faces big decisions about electricity. If Millersburg goes ahead and tries to take over the electricity business within its borders and expel Pacific Power, condemnation and a court battle over the takeover price won’t be the only hurdles. Also there is likely to be a fight, possibly a long one, in federal court over the Northwest Power Act of 1980. That federal legislation among many other things allowed Oregon residential and farm customers of investor-owned utilities to benefit from a portion of the power sold by the Bonneville Power Administration. Utilities such as Pacific Power are able to pass the benefits on to those users, but not to commercial or industrial customers. The largest beneficiary of the Millersburg proposal in terms of money would be Wah Chang, the metals manufacturer and big mid-valley employer, which is funding the power supply study for the town of 1,340. Because of that, Pacific contends the Millersburg proposal would violate the Power Act. Millersburg’s lawyers disagree, naturally. But only federal judges can say whether it does or doesn’t, and the question might not be resolved until it’s decided by the 9th Circuit Court of Appeals.